Angela Punch Mc Gregor, Drew Forsythe, Tina Ahrondis, Monica Maughan, Simon Chilvers, Wallas Eaton, Charles Tingwell. Annie's Coming Out is based on a book by Rosemary Crosswell about her experiences in Melbourne during the 1970s. The movie is a slightly fictionalised account of an actual case. The movie is a plea for consideration of children who are hospitalised and treated without real affection. It is also a plea for those with debilitating illnesses, like cerebral palsy, which give the impression that the children have low and undeveloped intelligence. Five years after this movie, audiences worldwide responded sympathetically to the life of Irishman, Christy Brown, who also suffered from severe cerebral palsy, in My Left Foot. There are some very powerful scenes at the opening of the movie when Jessica first goes through the wards and first sees the children. The screenplay also contains clashes of opinion about the status of the children's quality of life and how easy it is to dismiss them, ignore them or deride them. 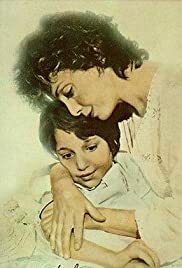 Annie's Coming Out won Australian Film Institute awards in 1984 for Best Film and for Best Actress, Angela Punch Mc Gregor, one of Australia's leading stars of the 1970s and 1980s. She gives a vigorous performance, carrying audience sympathy along with her. It is also easy to see how her vigour and success alienated staff who were doing their best for the children. 1. The acclaim given to the film? Its quality? Impact? 2. An authentic story? A true story with fictional elements? Credible? Melbourne in the '70s: hospital treatment of the disabled, the retarded? Attitudes of hospital administration? Health Commission? Staff, Rosemary Crossley within this context? 3. The use of Melbourne locations, the atmosphere of the city (and Armie's tour of the city and audiences seeing it through her eyes)? The Australian film industry of the '80s - realism, sentiment, care, message? The musical score and emotional response? 4. The title and its evocation? Annie and her life, coming out of confinement? 'Free the still imprisoned' - her message on the blackboard at the end of the film? The years in the hospital, in the wards? Caged in body - and coming out into the world? Coming out in intelligence? Coming out of the hospital and what that symbolised? The overtones of coming out - the coming-out party, debut etc.? The happiness for Annie? 5. The impact of the prologue: the tracking shots throughout the wards, the caged beds, the children and their disabilities? The visual impact of the retarded children? Jessica and her response, audience response? The confinement of the hospital, the children being fed, being given laxatives, the child who had died on Open Day and her being hurriedly removed from the ward? The grim atmosphere culminating in the attempt to suffocate Annie and the children all crying in sympathy? The contrast with the joy, the sparkling eyes, the painting outside - even enjoying the rain? Audience response to physical deformity, to mental disability and lack of communication? David not wanting to meet the children? Audience sharing this ignorance, fear, reacting to appearances? 6. The significance of Annie's voice-over and its feeling? The explanation of herself, her attitudes, the long experience in the hospital, her being put into the hospital, the timetable and routine, the imprisonment? The growing hatred, self-assertion and defiance for survival? Her response to Jessica? Her comments on this throughout the film? The final comments and the information about her studies and Deakin University? 7. The film's depiction of the character of Annie: seeing her so bent over with her cerebral palsy, the time taken to feed her, the small body and her age? Response to the voice-over? Her eyes and her movement of eyes? The response, affection for Jessica? Using her tongue to signal 'yes' and 'no', her wanting to learn, the forming of sentences - with their antagonism? The enjoyment of the outing, the views of the city? Wanting to learn the alphabet, learning the letters, laughter and delight? The outings with Jessica and David - the picnic, the gallery and the laughing at Toulouse Lautrec's picture? The clash with David, her hostile and rude response? Her going to the country to Jessica's family, Jessica’s grandmother's comment about killing such disabled children, the analogy with killing deformed animals? The tests and her failure - Goldilocks and the Three Bears? Her wanting to test Jessica and continue to get her support? Their angry interchange? The audience watching for Armie's response in her eyes and movement? The growing communication, the attempt on her life? The interview with the lawyer and her accepting him? The judge and her non-co-operation with the tests? The test with the unknown words 'string, quince' -and Annie's writing 'string, quit'! Her joy in the winning of the case? A person of warmth and intelligence? 8. The glimpse of the other children, in Jessica's introduction to the wards, in the lessons? Annie's communicating Tim's intelligence? Jessica's apology? Tim's death and Jessica's grief - who else will weep for him? 9. Angela Punch McGregor's portrait of Jessica? The initial vigour, walking down the street, the dog, rescuing the antique book from the garbage? Her love for David, the bond between the two, seven years? Keeping house together? Their being at ease with each other? Her going to the hospital for the interview, Sally on the phone informing a parent of the death of his forgotten son? The meeting with Vera? The tour of the children, the immediate bond, her seeing it as a challenge? Accepting the job? The reaction of the staff, the nurses? Not expecting her to last long? Her getting a list of needs - and the discussion with Dr Racoul about the availability of funds? Buying the posters (and Sister Waterman taking it down), the paint, going outside, the joy of the painting, the rain? The bright ward' the music, the colour television excerpts? Taking Annie out and the exhilarating experience? Her growing obsession, talking about Annie all the time, David and his reaction (searching for Annie in the bed)? Her preoccupation, her seeming thoughtlessness about the consequences? Herjoy in Annie's intelligence, the sentences, learning the letters, guiding her arm? The test and her failing it - and Jessica realising she was being tested? Vera's departure and their friendship, Vera's return to do the report? The friendship with Dr Rowell, the caution, his reaction to her taking Annie for outings? Her grandmother's reaction and her anger, her father reminding her of her love for the disabled? The clash with David and getting out of the car, the car crash? The change of moods? Her impatience and patience? Staff reaction? Her exasperation and the articles in the paper? The attempt to smother Annie? David and Jessica going to the lawyer, the situation in the hospital, the antagonism of Dr Rowell and the Health Commission, of Annie's parents? Her testimony in the case? The test with the words, string, quit? Winning, the rush to the taxi, going off alone, rescuing Annie and racing her out, the reconciliation with David? Her gift, others thinking her mad, suspicions, Vera's warning about the consequences and others not being able to keep pace with her, others feeling impotent beside her, the effect of her care and love? about her involvement, not wanting to go? The Open Day and the talk with Vera? The outings with Annie, the gallery? The car crash and his lying down on the road - everybody else driving over him? His antagonism towards Annie and her reaction, his belief in her? His work, the boring lecture and poetry reading, cooking at home, supporting Jessica but still growing exasperated? The visit to the lawyer and his wariness? The winning of the case? His seeming to be shut out of the taxi yet the reconciliation? 11. Dr Rowell and his running of the hospital, making funds available, a stickler for rules and tradition, relationship with Vera and his speech on her departure, his growing less sympathetic, to Jessica's taking Annie out, the visit to the Health Commission, his awareness of the parents, commissioning the report but not reading it, refusing to see Annie in action? His reaction to the articles in the paper? The discussions with John and his reminiscences about the awful conditions, 25 years of change? His embarrassment during the court case especially about his not reading the report, his staying with his own judgment? His being symbolic of well-meaning but hard-line institution people? 12. John the young doctor, his interest, the test and Annie's failure, the support, his discussions with the lawyer and helping him, the court case and the clarity of his testimony? 13. The Health Commission, their not co-operating with Jessica, the wariness about the trial, supporting Dr Rowell? 14. Annie's parents, their initial reaction to Jessica's work, their trust, their upset - especially when it was proven that she was intelligent and they had not realised it? The film showing their burden? 15. Vera and her work, her staying 15 years, her sense of inadequacy, the presentation and her farewell, the jokes about her smoking, her coming to make the report, her testimony at the trial, her anger with Jessica and statements about her feeling impotent? 16. The lawyer, his support, his way with words, genial manner? His humorous handling of the case, meeting with Annie, behaviour in the trial? His assistant? 17. The judge, his attending to the testimony, his decision about the test for Annie - and his discussion with her, smoking? His final summation? 18. The nurses and their suspicion, their comments about the children - and the horror that the children could understand the derogatory remarks? Sally and her offhand manner, her pleasant manner with the children, support of Jessica? 19. The contrast with Sister Waterman and her strictness - a real character, caricature? 20. A film of humanity, dignity? Care and concern?